?This easy to use text provides practitioners and researchers with a global view of current and emerging issues concerned with successful pregnancy outcomes and approaches that have been successful or show promise in ensuring a successful pregnancy. The fully updated and revised second edition expands its scope with topics not covered in the first edition including pregnancy and military service; sleep disorders during pregnancy; the gut microbiome during pregnancy and the newborn; requirement for vitamin D in pregnancy; the environment-contaminants and pregnancy; preeclampsia and new approaches to treatment; health disparities for whites, blacks, and teen pregnancies; depression in pregnancy-role of yoga; safe food handling for successful pregnancy outcome; relationship of epigenetics and diet in pregnancy; caffeine during pregnancy; polycystic ovary syndrome; US Hispanics and preterm births; celiac disease and pregnancy; cannabis use during pregnancy. 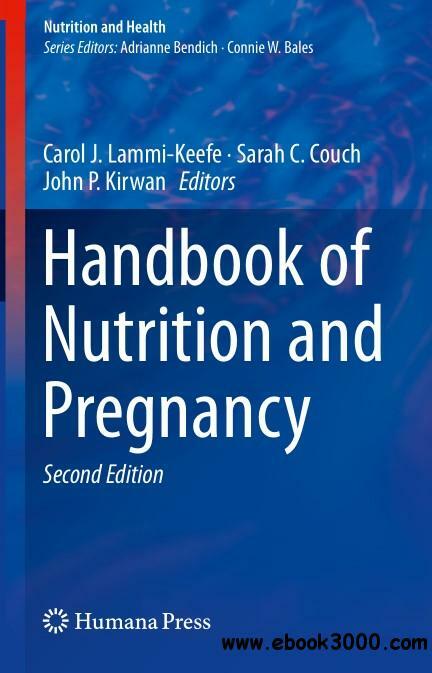 The second edition of Handbook of Nutrition and Pregnancy will be a valuable resource for clinicians and other healthcare professionals who treat and counsel woman of child-bearing age and pregnant woman.